Self-pity path to self destruction sans ring or sunscreen. "Neither one of us is drunk enough for this conversation." 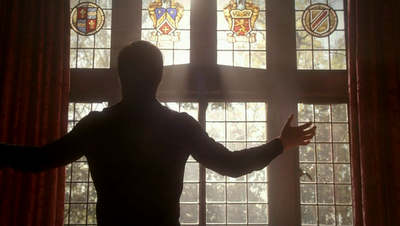 Damon ignoring death, wanting to die, and really dying to.... not. The threat of losing one of the Salvatore brothers is what emotionally anchored this second season's finale. But does Damon's hallucinations-slash-realizations mean he's dropping the badass sarcasm? Hopefully not. But the whole thing actually paved the way for Elena to kiss Damon, and not the other way around. Pretty friendly "he's dying" kiss, if you ask me. It would be kind of awkward (with a dash of guilt) for the two next season when they both know how they feel about each other, but then at the expense of Stefan. 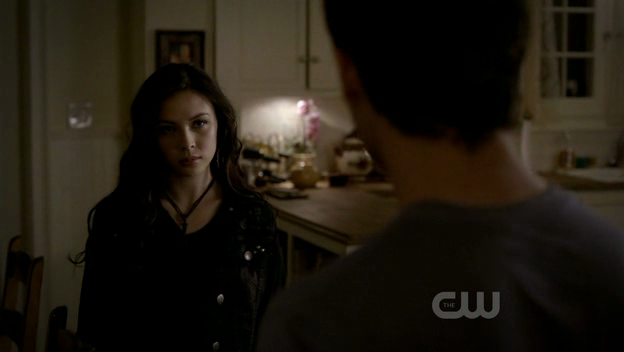 I think this is very interesting for Stefan, reverting to his old ways. It would give him more room to act and explore his brooding-ness, with probably a moral dilemma always in his face. I'm sure big brother Damon will take care of this like he always does. 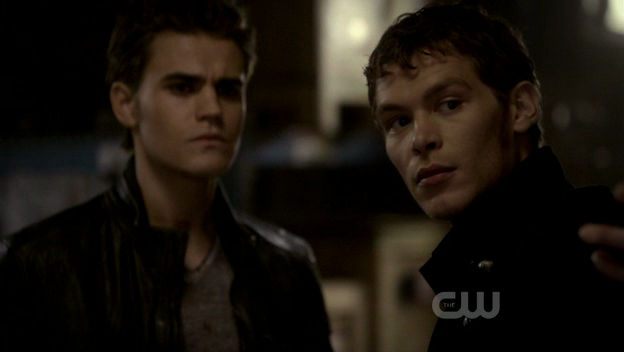 Has Stefan really turned to the dark side, or is it just a show for Klaus? It feels a little contrived that the build-up of Mama Sheriff knowing everything falls down to a simple confrontation with her vampire daughter. I would have imagined a more ingenious way of stepping in and messing up the gang's plans. I've always loved the mother-daughter's rocky-and-then-not relationship. But next season could see a change to that though, after a cheap-shot reconciliation. You girls can do better than that dialogue and that hug! The only good thing that came off the contrived Mama Sheriff meddling was Jeremy getting shot and dying. And after coming back to life (go witches! ), he now sees dead vampires (people? ), which could prove to be useful. I don't exactly see how this is going to change the fact that he's still human amongst the supernaturals. 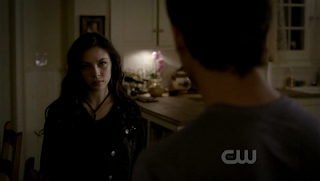 But it will certainly mess with his relationship with Bonnie; his dead ex-vampire-girlfriends are back. T'was good riddance to you in the first season, Vicki. Tell me you're not your old self. Wohooo! Anna. Is. Back! Now, it's really a wish come true to see you somewhat alive again. Yes. Between Damon dying, Stefan going dark, the sheriff knowing everything, and Jeremy seeing dead vampires—this season of The Vampire Diaries clearly upped the ante on deaths and twists and turns. A lot of characters said goodbye, but for those who are still with us, we hope you don't die... yet. Alaric, for one, might be the Gilberts' guardian. Well, he is Elena's biological mother's husband, so it kinda makes sense. Plus, I think it will be good for Jeremy to have a man in the house. Elijah had been killed four times in this season alone. But a third season with the originals will not be complete without him. Someone should be in the business of pulling out daggers next season. Matt and Tyler are definitely going to be on some common turf next season even though they're absent in the finale. I think someone's going to get jealous or something. And this is kinda off-topic and I don't know if I said this before, but the TVD soundtrack is really amazing.